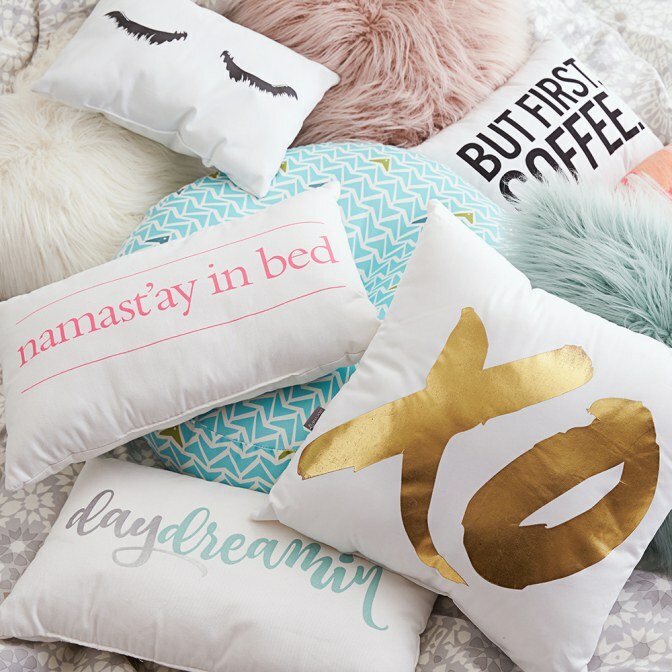 Throw pillows make your room so much cuter! They even add great comfort when going to sleep. Not only are they cute and comfy but show your personality through the many cute quotes and designs! (Dormify.com and Target are two great places to purchase fun pillows). 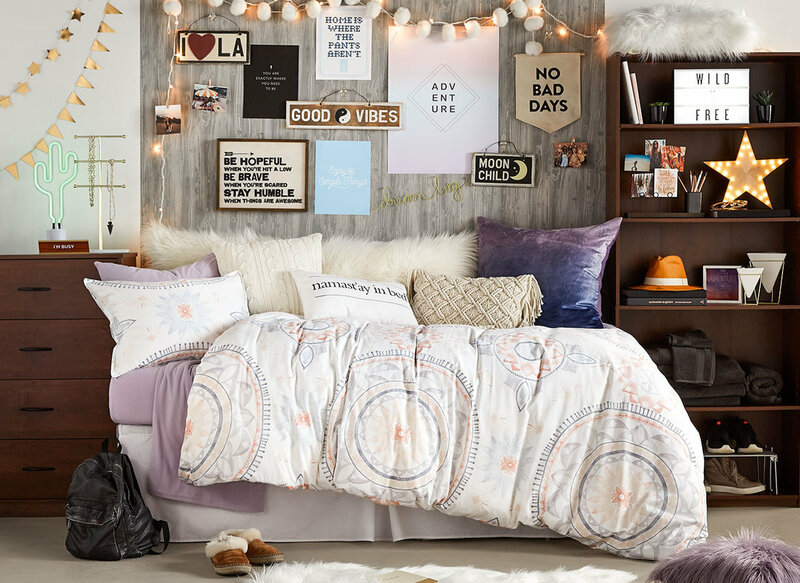 Not only do tapestries cover those boring bare dorm room walls but are also the perfect background to take a picture in front of! 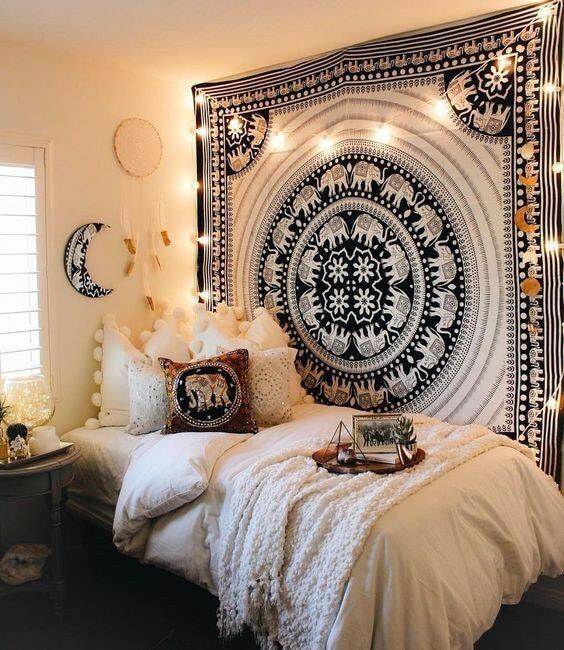 (Urban Outfitters and Dormify.com have the best tapestries). I am absolutely obsessed with monograms and think they are the perfect decor item for a dorm room! The initials make the room more personalized to you. (I found my monogram decal on Etsy.com). Wall quotes are a great way to decorate your walls. There are millions of phrases out there that you can choose from to hang up! 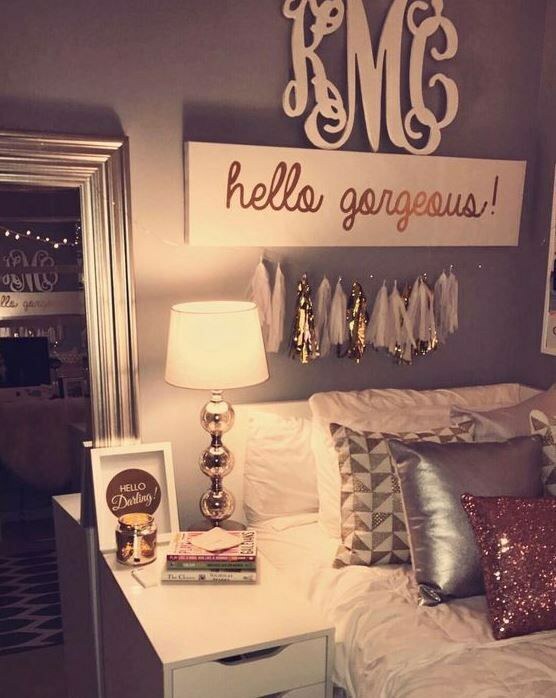 (TJ Maxx, Marshalls and Dormify.com have very cute wall decorations). 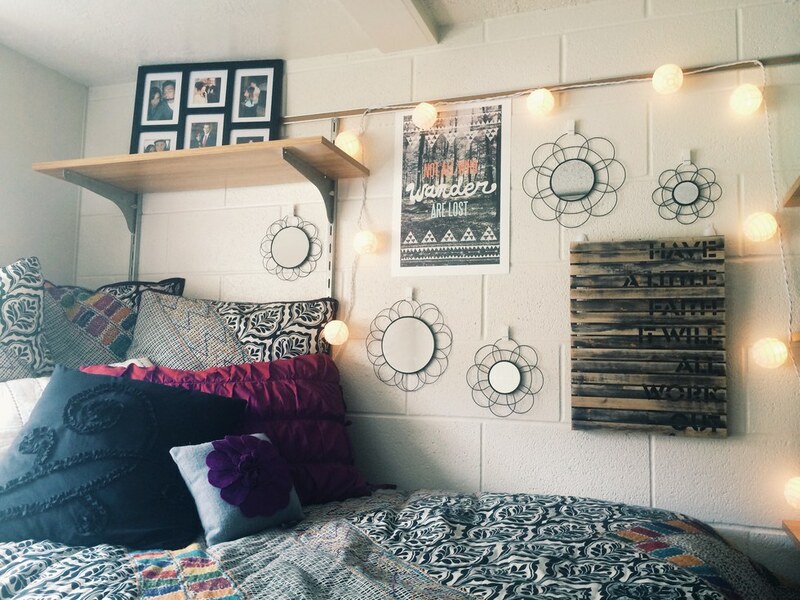 Mirrors are not only a necessity to use in your dorm room but also add great decoration too! There are many different types of mirrors that come in all different shapes and sizes in which you can buy to your liking. (HomeGoods is a great place to purchase mirrors). 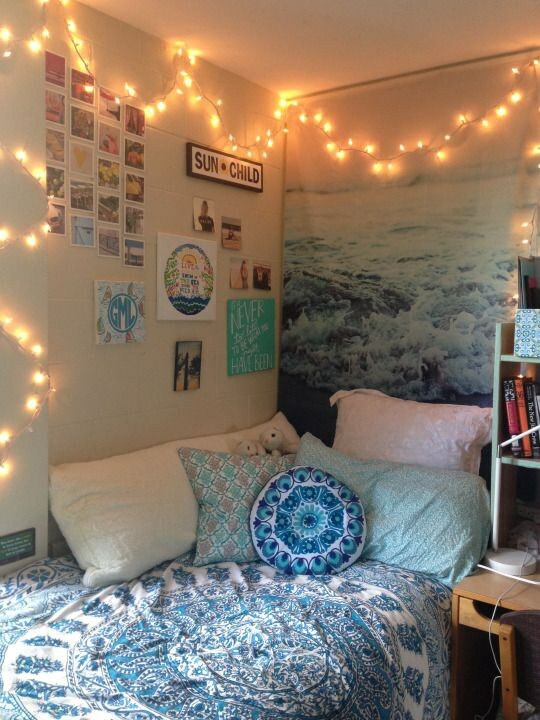 Fairy lights are a cute decoration to hang in your room. They are especially beneficial if you are a night owl like me and enjoy staying up late and prefer a relaxing ambience. (TJ Maxx, Marshalls, and HomeGoods have great fairy lights. If you are looking for shaped lights Urban Outfitters and Anthropologie are good stores to look at). There is nothing like a cozy blanket that makes you feel like your right at home. 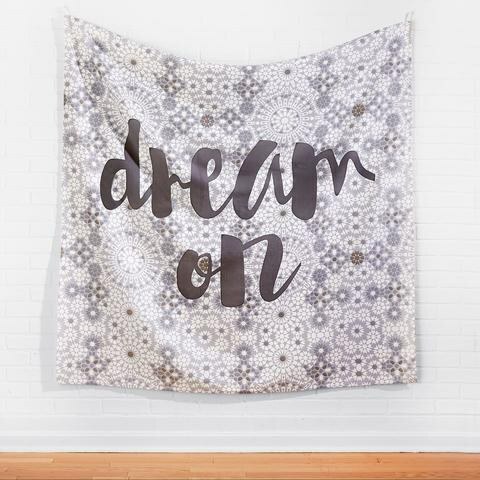 Blankets are a great decor item to throw at the end of your bed that not only is a cute touch to your bedding but will keep you comfy and warm! (TJ Maxx and Nordstrom Rack have the cutest and softest blankets to choose from). 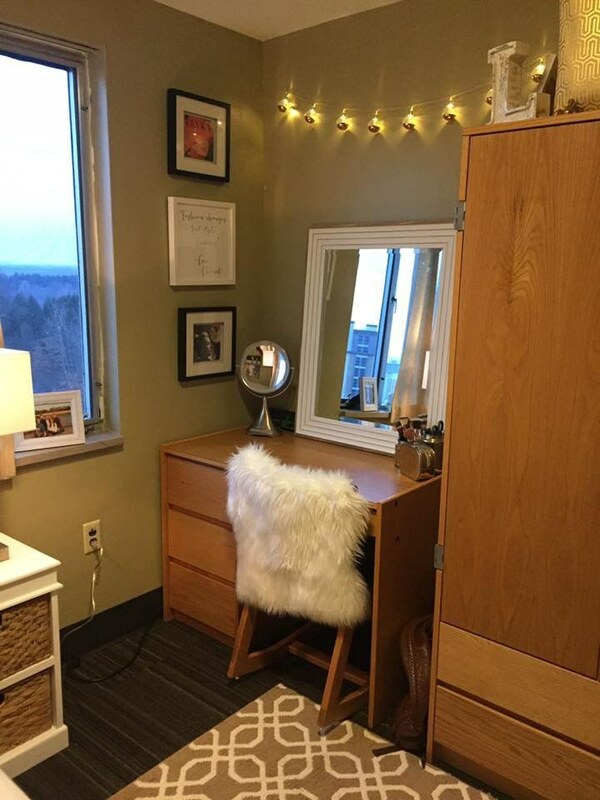 Rugs give a homier feel to any dorm room. They feel great to walk on, sit on or even sleep on! 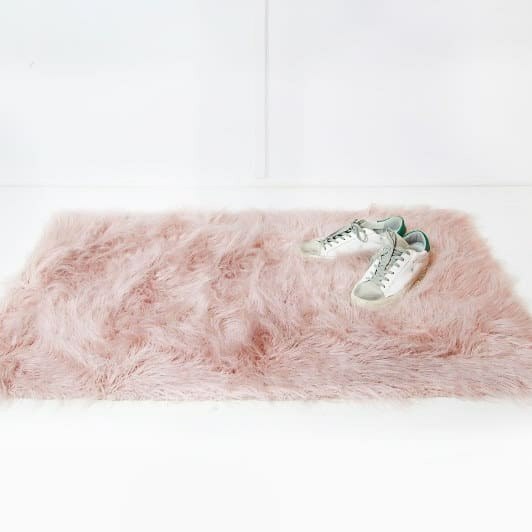 There are so many rugs to purchase such as furry, sheepskin and ones with fun patterns! (Target is a great place to look for rugs). Mason jars are a cute item to place on your desk for decoration and storage. 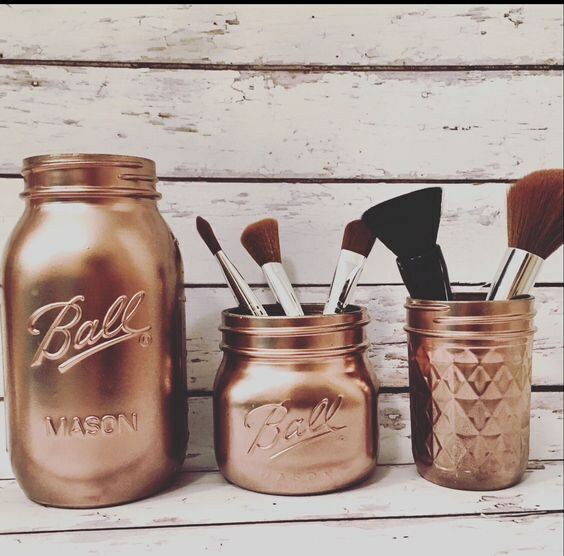 These jars are perfect to fill up with anything from makeup brushes to school supplies! (Target is a good place to buy these). 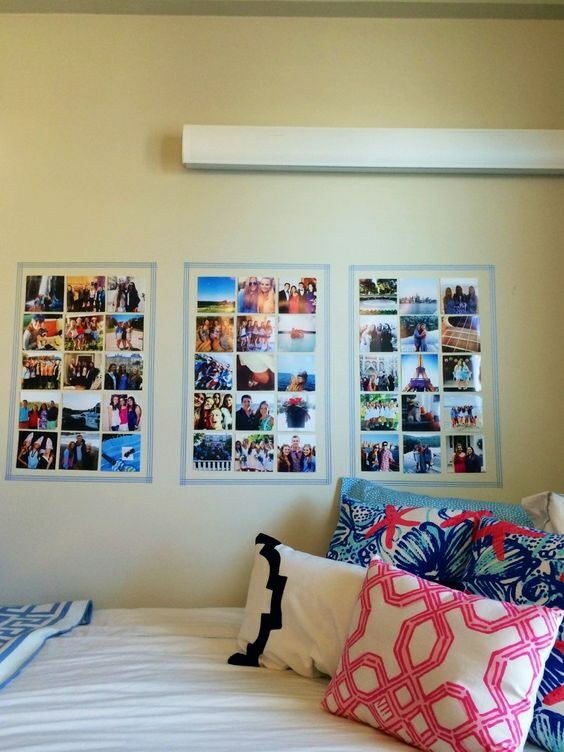 Hanging pictures in your dorm room adds a little something to decorate your plain walls. It is also a reminder of the family, friends and pets that you cherish love! (If you would rather put pictures on your desk than your wall I recommend buying picture frames at HomeGoods). Switch out that boring desk chair for one that is fun and comfy! Adding a funky chair adds some excitement to your dorm room. (Target has a great variety of chairs to choose from). 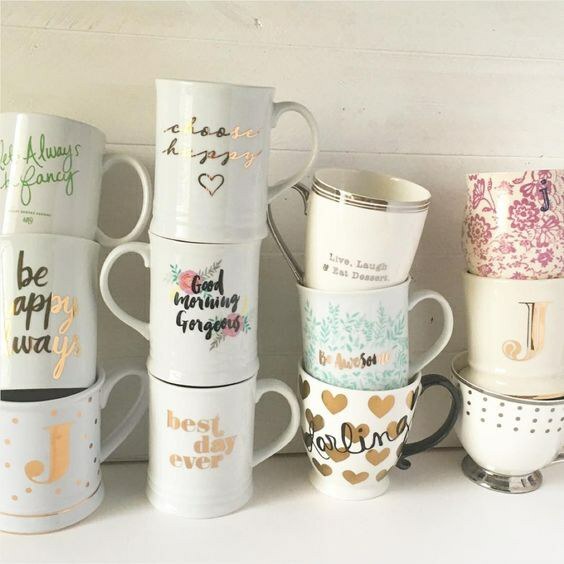 Not only are coffee mugs a cute item to put on your desk but are great for drinking coffee/hot chocolate, eating cereal/oatmeal and/or storing pens and pencils! (Anthropologie have the trendiest coffee mugs). 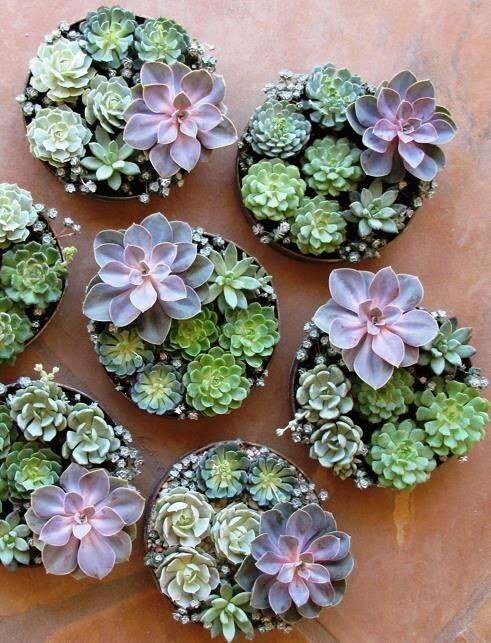 Succulents are a cute decor item to add something extra to your room. These are great plants for a college dorm room because they require very little care. Just remember to bring your succulents home on school breaks to continue to give them good care! (Lowes and Home Depot are good places to look for succulents). Suddenly Target is calling my name... louder than usual. You don't need to break the bank to self-care. These budget-friendly drugstore products are no joke. Target recently came out with a line of beautifully scented soaps, all beginning with "Smells Like." If you're into soap that smells like you've fallen asleep in a garden, "Smells Like a Blossom" is your pick. Though the price on this item is pretty high, the effect that it's going to have on your hair will change your mind. Everyone needs to invest in a good post-condition, and no matter your hair type, you'll see that this one really does seem to work miracles. Not only does this eye cream feel amazing on the mornings when your eyes are tired, but it works throughout the day to reduce lines and under-eye bags, leaving your skin flawless! A makeup tool that's great for the environment and works better than anything else? Sign me up! There's no point to applying a face of makeup if you aren't primed first. You risk clogging your pores and looking patchy all day! This primer fights breakout while keeping your makeup intact. It's the best. Alright, I lied. THIS is the best. This concealer stays on through thick and thin and has the power to cover even the most stubborn imperfections. Its price and quality are unbeatable, too. A wise person once said, "If your eyebrows aren't on point, neither will be your day," and Elf agrees. This budget-friendly eyebrow pencil is definitely going to surprise you. Milani is one of my favorite makeup brands. They seem to never fail to disappoint. Milani lipstick is long-wearing without even talking about it. If you're looking for the longest wearing drugstore foundation, you've found it. Maybelline 24-Hour doesn't mess around. Plus, they offer 20+ shades.